After the council elections last week, many new councillors are taking up office and, in some councils, there will be new political leaders. Voluntary and community organisations and their representative bodies, such as local infrastructure bodies, know that for the most part the sector benefits from a positive relationship with councillors and local political leaders. More importantly, when these relationships work well communities and the beneficiaries of the VCS groups benefit too. Set against that context, VCS groups and their local representative bodies should waste no time in reaching out to the new councillors and building constructive relationships with them. Inevitably, relationships between the VCSs and councils have varied from place to place – sometimes good, sometimes confused and at times even contradictory. This despite many councillors being trustees of local VCS groups and charities, often working with VCS bodies at council, community and/or ward levels, and frequently referring residents for support, advice and services. Sadly, however, there is often a competitive tendency to be wary of recognising VCS groups as a legitimate voice of communities. And it is true that the VCS can never be a substitute for democratic local government that is accountable to the local electorate. However, when councils and councillors work well together with the local VCS, the fact is that local democracy can be enhanced – and never threatened. The VCS must respect the right of councils to allocate their ever-scarcer resources to maximise wellbeing and meet their statutory duties. This will sometimes mean difficult decisions have to be made in respect of funding – to which the VCS has no natural or legal entitlement, which is a fact that should be stated and acknowledged directly to council leaders. For their part, however, councils must understand and accept that a VCS is about more than service delivery and certainly more than "contracted" public service delivery. Indeed, a VCS has no latent or overt aspiration to be an agent of the state nor a shadow of a business sector corporate, competing for outsourced contracts. Councillors are community activists in their wards and local communities. Accordingly, there is much to be gained from local VCS groups that are of and from these communities (or which are active in local council wards), ensuring that the new councillors (as well as councillors who have been re-elected) are aware of their work, their impact and the issues that they and their beneficiaries are experiencing. Where there is no existing relationship, contact the councillor(s) and send them a short briefing paper (ideally one side of A4) introducing the VCS group, explaining what it does and how it is making a positive impact in that locality. Invite the councillor(s) to visit services and/or to meet representatives of the VCS group, ensuring that some of these representatives include beneficiaries. Offer support to the councillor(s) by, for example, providing information on their wards, the wider council area and the impact on their beneficiaries and communities of current or proposed council policies and services. Propose regular dialogue based on mutual respect and the recognition of the respective roles and responsibilities of councillors and the VCS. Read the manifesto of the controlling party on the council and understand the implications of the proposed policies and how you could contribute to some policy implementation. Where councils have changed political control or where for other reasons there are new council leaders/cabinet members/chairs of scrutiny committees in place, my advice is twofold. Introducing themselves to the new leaders, relevant cabinet members, shadow cabinet members and chairs of scrutiny committees. Offering to brief these elected representatives. Setting out their role, approach and experience of working with the local authority and how they believe that they can add value and support council policy development and implementation; and explaining clearly but politely what they cannot/are not prepared to do and why. Introducing themselves where there is no existing relationship to new leaders, relevant cabinet members, shadow cabinet members and chairs of scrutiny committees. Demonstrating an understanding of and a respect for the role of councillors, and the financial and other constraints faced by councils. Analysing the manifesto of the controlling party on the council and understand the implications for the VCS, and how the VCS should contribute to policy implementation. Seeking early meetings, while recognising the heavy diary demands on senior councillors immediately after an election and change of administration. Offering briefings on policy and public services, as well as local social economic and environmental conditions – and explaining how the VCS can bring a complementary perspective to that of the local authority and political parties. The right of the VCS to speak up and to speak out, even when in receipt of public funding. The preference for grants over complex competitively tendered contracts and why the former are in fact beneficial to the council. Why the VCS should be involved in policy and financial decision-making, rather than just being seen as yet another consultee. Explaining and offering to build on the VCS's contribution to place shaping, community wellbeing, building community wealth and other critical local authority objectives and policies; and stating clearly that while the VCS and council leadership will from time to time disagree and might engage in public dispute, that is simply a natural part of the democratic process. Potentially making the case for some modest financial support for local VCS infrastructure (this might be best not promoted in the initial approach but introduced as the relationship builds). There will be many other local issues, but even where council leaders are reluctant to build a positive relationship with the VCS, the latter should always seek the high ground and never retreat nor sit back and expect the council to make the first move. Newly elected councillors and new council leaders face many mighty challenges. It is vital for the VCS to demonstrate that it can assist constructively in meeting these challenges as part of the wider place-shaping team. 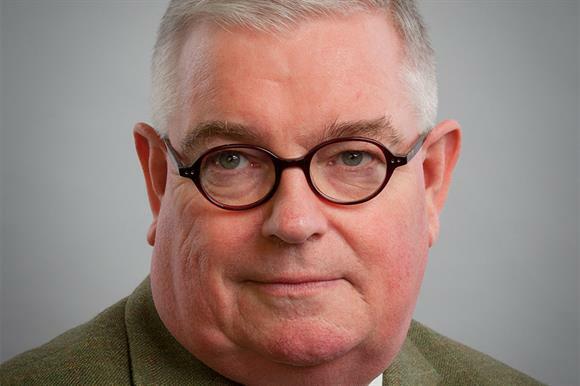 John Tizard: Does the DCMS understand or care about civil society?